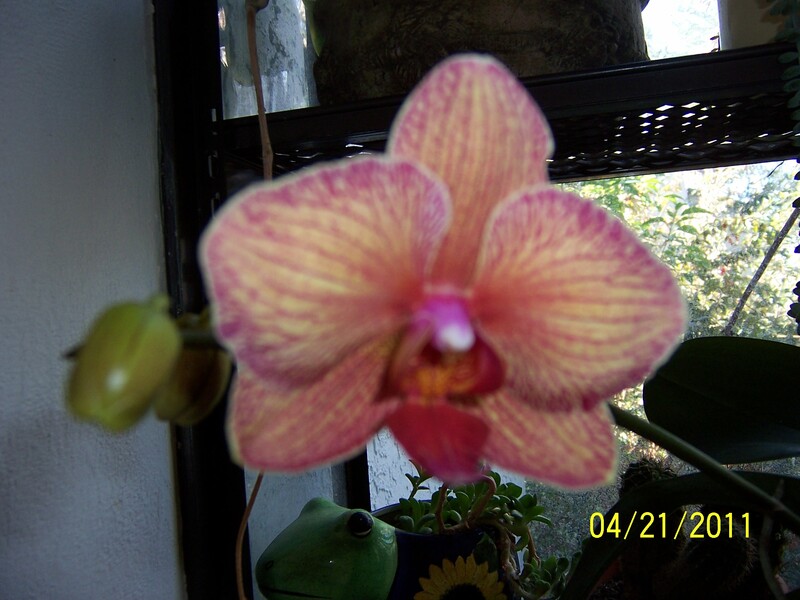 Inside, this orchid has been a very reliable bloomer, my favorite colors-yellow and pink. Outside, isn’t this a pretty flower? Who would guess that this is a cactus? The bees love these flowers.